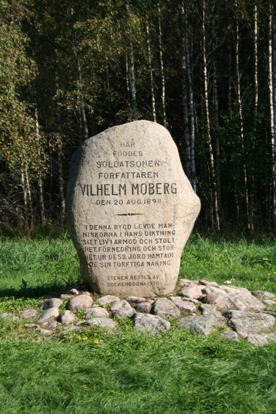 Vilhelm Moberg was born on 20 August 1898 in Moshultamåla, Algutsboda parish. He spent his first nine years at the tenement soldier’s cottage in Moshultamåla that his father, territorial soldier no 132 Karl Moberg, took over in 1888. 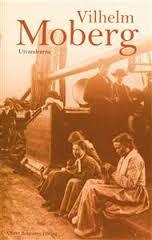 In 1907, the family moved to a small farm in the village of Moshultamåla. This had been the family home of his mother Ida Moberg, which was bought back with money from her family in America. 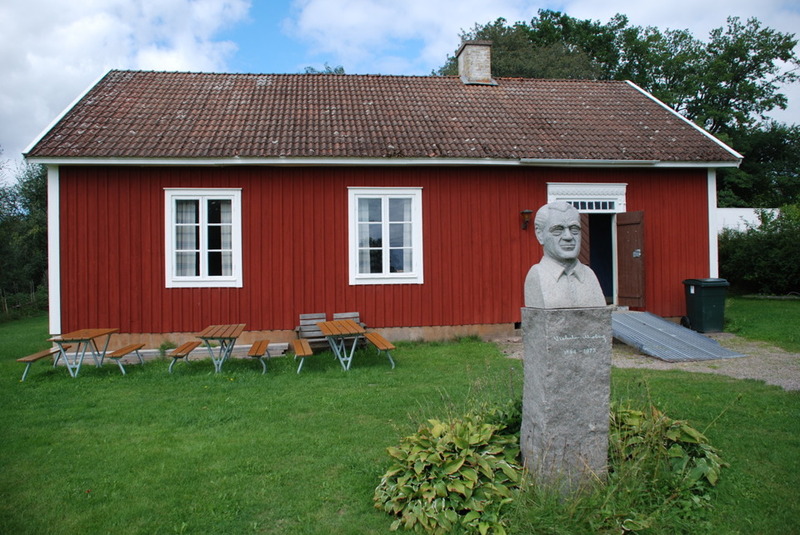 Young Vilhelm started school in 1906, at Påvelsmåla school deep in the forest. His teacher Maja Johansson did her best to encourage her gifted but unruly pupil. When he was 11 years old, Vilhelm started to work as a carrying-in boy at the Modala Glassworks. In 1916, an uncle in California sent money and a ticket and Vilhelm nearly emigrated to America. His mother’s tears and his father’s promise that Vilhelm could study at Grimslöv’s County Folk High School made him decide to stay in Sweden. 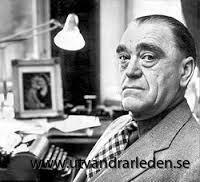 Vilhelm developed into a hard-working journalist and became Sweden’s youngest editor-in-chief in 1921. Not much later, he also achieved his breakthrough as an author. 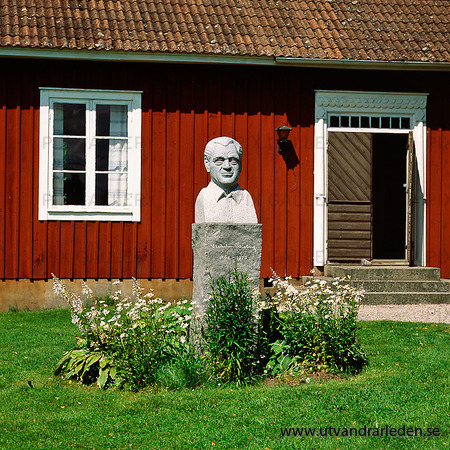 The powerful series of novels about the Emigrants brought world fame to Småland's son Vilhelm Moberg. The Emigrants, Unto a Good Land, The Settlers and The Last Letter Homeare four novels about a group of 20 people who left Småland’s emigrant district and headed for America in the 1860s. Raskens is a novel about the territorial soldier Rask from Småland, and the fortunes of his family. In A Soldier with a Broken Rifle, Moberg describes Valter Sträng, who grew up in Moshult and worked at the Modala Glassworks as a boy.